Belmont student Cassandra Riedy and Dr. Mona Ivey-Soto received awards today at theHarold Love Outstanding Community Service Awards in Nashville, Tennessee, April 27, 2018. The awards were created and named for Love to celebrate and honor students, faculty and staff in higher education across Tennessee who have demonstrated exemplary service in their communities. The Tennessee Higher Education Commission was given the charge to implement this recognition, and a task force of institutional and board representatives convenes annually to review submitted proposals. Each year, five awards are given to students, and five awards are given to faculty/staff. As a scholar activist, Ivey-Soto is passionate about amplifying the voices and perspectives of those who are marginalized and overlooked. She seeks to shift the broader collective conversation from a deficit discourse to one that emphasizes assets and hope in engaging and impacting communities of color. She is dedicated to connecting teaching and scholarship to urban communities where she spends time with children and families. Practicing a posture of cultural humility, Ivey-Soto is blessed to develop strengths-based intentional relationships with families, nonprofit organizations and schools, co-laboring and striving for equity and justice. over 22 years ago, helping Cassandra learn the importance of service at a young age. Her community work has expanded and deepened as she entered the mental health field and recognized the importance of community on overall wellness. Cassandra is grateful for the many opportunities she has found in Nashville to serve women in addiction, incarcerated individuals, individuals with severe and persistent mental illness and fellow counselors striving to improve their practice. 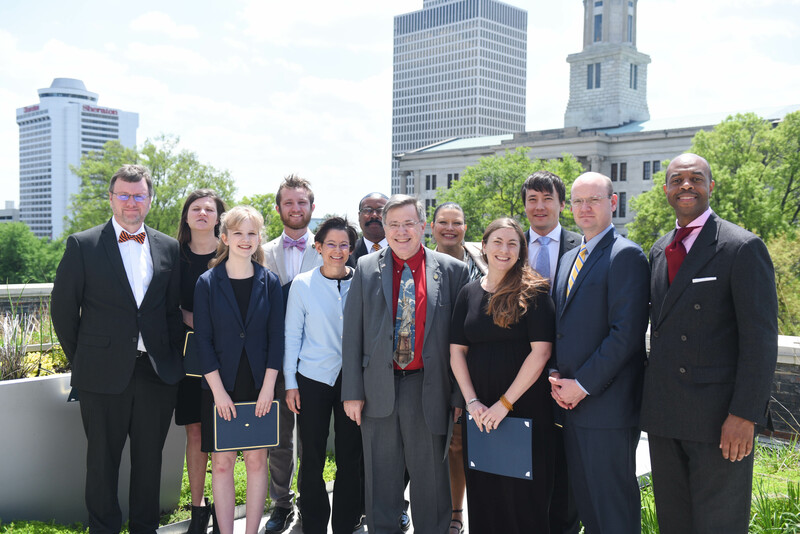 Both recipients were honored at a ceremony on Friday, April 27 at the Cordell Hull State Office Building.